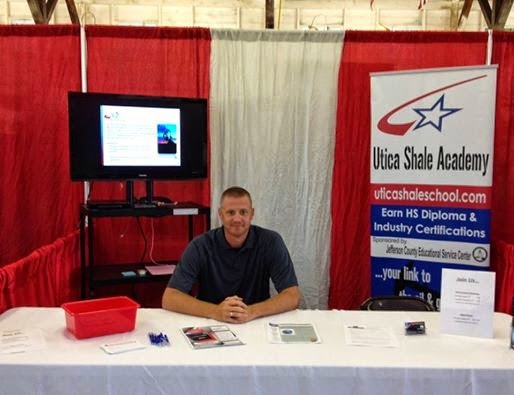 The Utica Shale Academy is preparing to graduate its first class on May 28, adding some newly minted prospects to the oil and gas workforce. Members of the USA Board of Directors met on May 8 in the Southern Local School District to finalize details for the event. A dinner and graduation ceremony are slated in the Southern Local High School gym beginning at 6 p.m. with commencement to follow at 7 p.m.
Brian Logue of Express Energy will be the speaker and nearly a dozen prospective alumni and their families will join USA officials, academy board members, and representatives of the Jefferson County Educational Service Center, the latter which is sponsoring the community conversion school. The board approved the list of the newest alumni during the meeting and President Dr. Charles Joyce expressed his pride in the students' achievement. "We have a list of 11 solid graduates. That is really terrific," Joyce said.